You are currently browsing the category archive for the ‘Holy Ghost’ category. Periodically I read the blog Musings on Mormonism. It is a blog from a former LDS member who is juggling family and spirituality and posts blogs that for the most part appear to be sincere. The other day I read the post entitled “Can our Hearts be Trusted“. She describes how praying and receiving an answer from God isn’t legitimate because our hearts can decieve us. She then goes on to state the only thing we can trust is God’s word and nothing else. This statement was very amazing to me for a number of reasons. First, how are we to know God’s word if we can’t recognize and discern his voice? Next, in my opinion it is borderline blasphemy to say that God can’t answer prayers and speak to our hearts through not only feelings, but in our minds and through scriptures as well. Finally, I feel that it is a tool from Satan to deceive us into thinking that we do not need to pay attention to the feelings and promptings God gives us. It states in scripture that God speaks to us in our minds and in our hearts through feelings, visions, scriptures, and other means such as prophecy. The question then is how do we learn to discern between what our desires are and what God’s desires are? Furthermore, if one claims to be a prophet and speak when moved upon by the Holy Ghost as the prophets of the New Testament did, how are we to know if what they are saying is truth? Many people may answer this by saying to look it up in the Bible and that will confirm the truth. However, how is one to know what truth is when reading in the Bible or any other scripture for that matter? Clearly the answer is through the Holy Ghost. But once again, the question arises how do we know if what we are feeling is from God or just our own desires? Worse yet, how do we know what we feel isn’t Satan trying to deceive us? These thoughts caused me to reflect on a post I wrote about 2 years ago called “Receiving and Recognizing Answers to Prayers.” In this post and especially in the comments by other readers, there are common threads on how we can live our lives in tune so we can receive and recognize answers to our prayers. In one of the threads, it discusses how God will send us the Holy Ghost through feelings accompanied with a positive conviction. Personally, I feel that all inspiration we receive should be backed up, as our “musings” friend alludes to with the scriptures. From my own personal experience, I know this is a truth: God speaks to us through His Holy Spirit and we feel this many times as a burning in the bosom, or exceeding joy that is more than just our own made-up desires that confirms all truth. We do need to learn and practice to discern from our own feelings and God speaking to us though. Personally, I feel that our friend over at Musings has it 1/2 right. We do need to test our answers to the Word of God and not soley rely on a desire…especially if we’re not sure if it’s from God or not. We shouldn’t rely soley on just our feelings and also it is important to have had a witness of what scripture is truth and this will come through an answer from the Holy Spirit as well. I know we can learn to recognize and discern between Heavenly Father’s promptings and our own desires. I’ve alluded in previous posts to problems I’ve dealt with as a result of issues from my early childhood. One of my most often read posts is the one I wrote last year about overcoming anxiety and depression. I’m grateful that God has been able to reach so many people through my experiences and I hope that the reference in this post will help as well. Along with dealing with the depression that I previously wrote about, I was dealing with certain addictions (which, I feel were a trigger for depression I was having). I won’t go into detail about the addictions I had to overcome, but I will discuss the process I went through in overcoming them. As a young child I had some traumatic events in my life that affected my views on various things in life. Unintentionally I formed addictions later in life as a result of these early experiences. The funny thing is that I knew what I was doing was wrong but I would seem to always revert back to my addictive behavior over and over again. It affected my self-esteem and the way I viewed the world and it went on for many years. Overcoming the addictions I dealt with were a process. First, I was in denial and I would put the blame on others such as my parents or the people involved in my addictive habits. However, after a few years and a serious wake up call I realized I had a problem and needed to overcome it. The only problem was that I couldn’t stop myself from the habits that had been formed even when I knew they were wrong. To make a long story short, God helped me through blessing me with determination, patience, and guidance from the Holy Ghost for a number of years. One day as I was driving the Holy Spirit told me in my mind to contact an old friend I hadn’t talked with in years. When I called her I thought I was going there to help her on an errand from God but soon found out that she had recently gone through an addiction recovery program. She became my sponsor for the program which was a major part in my addiction recovery. Looking back on it, I am deeply grateful that God knew me personally and cared for me deeply enough to guide me to the right program. For me, it was very helpful and worked in the end. However, I did feel a bit of a void especially when talking with my church leaders. I would have loved to have been in a session with people who had similar views on God but I don’t think the leaders were properly trained or aware that the LDS church has an addiction recovery program. The other day I came across this LDS reference and thought it would be very helpful for people to know about. I encourage those of you who are either dealing with any of these issues or are in a leadership or counseling role to help others with these issues to use this website as a reference. I think if I had known of this before-hand it could have saved me some time and I could have overcome the issues with much more support. If anyone else has ideas of good references for those dealing with addictions please feel free to share. Over a year ago, I wrote a post called “Why do People Leave the LDS Church?” It has since become one of my most frequented posts and recently received a comment from a sincere seeker of Jesus who has just left the LDS church. She has started a blog called Musings on Mormonism that shows her sincerety as a seeker of Jesus and her story of being a Mormon and chosing to leave the LDS church, yet devoting herself to following Jesus. I respect her choice and also commend her for following her heart and pray that she brings people closer to Jesus. Her experience was very similar to the experience the experience of Shawn McCraney’s. Recently I read his book called “I was a Born Again Mormon.” In this book, he describes his experience as an LDS elder and missionary and also is conversion to Christianity and leaving the LDS church. I didn’t agree with a lot of what he wrote, but one thing I did agree with was that it is important to be born again. His definition of what a born again Mormon is and mine are drastically different, but I do agree with him in the fact that we as Mormons (and everyone for that matter) need to be born again. I feel that it is unfortunate that many of our fellow Christians feel that we are not truly born again and believers in Jesus. No one is perfect, but if we are not doing things out of the love we have for Jesus, then we need to repent and become truly born again. In John, chapter 3, Jesus tells Nicodemus one must be born again to see the kingdom of God. In the Book of Mormon in Alma, chapter 7 it states we need to be born again through repentance and baptism as well. There are many other scriptures in the Book of Mormon and Bible for those who want to study being born again. Clearly it is something necessary and something that we as LDS should be talking about and thinking about. I would like to share with you when I experienced a “mighty change in heart” and was born again as a new creature in Jesus. During a proselyting mission in Frankfurt, Germany I had had many discussions with non-believers and people who challenged my faith of if there was a God and if Jesus was real. I struggled with my faith for awhile and questioned if there was a God and if Jesus was really the Savior. During this time, I would sometimes feel angry with myself for feeling this way and viewed myself as a hypocrite. I concluded that if I really wanted to know Jesus I would need to immerse myself in His word and pray, which is exactly what I did. In order to know Jesus, I decided I would read the book Jesus the Christ, by James Talmage along with the New Testament. I studied and prayed for over 8 months and learned a lot, but never did receive a “born again” experience. I actually wasn’t really looking for a sign and had the faith that God would reveal truth to me in His own time and way. One morning, it happened. As I was praying, I felt completely overcome with a love and joy for Jesus that I had never felt before. Words to a poem, which I may share at some later point entitled “I’m With You ’til the End” came to mind and I dictated as the Spirit of God spoke to me through my writing. As I watched the words fall onto the paper describing who Jesus is and what His mission in life was and how He’s always there to help me, I felt my heart change and my love and desire to share the good news of the gospel overcome me. I wept in gratitude as God had answered my prayers. That experience was more than 12 years ago now, but it is etched into my heart. I’ve made many mistakes since then, but I am a drastically different person since becoming a new creature in Jesus than I was before. I know that I have the opportunity to daily give my heart to Jesus and that He’ll lead me in all I do. As I try daily to give my heart to Jesus then I notice that I gradually become more like Him in my desires to serve others and to love as He did. Life, relationships, and everything becomes more meaningful. Those of us who are members of the Church of Jesus Christ should always remember that in all we do nothing matters unless we do it unto the Lord. 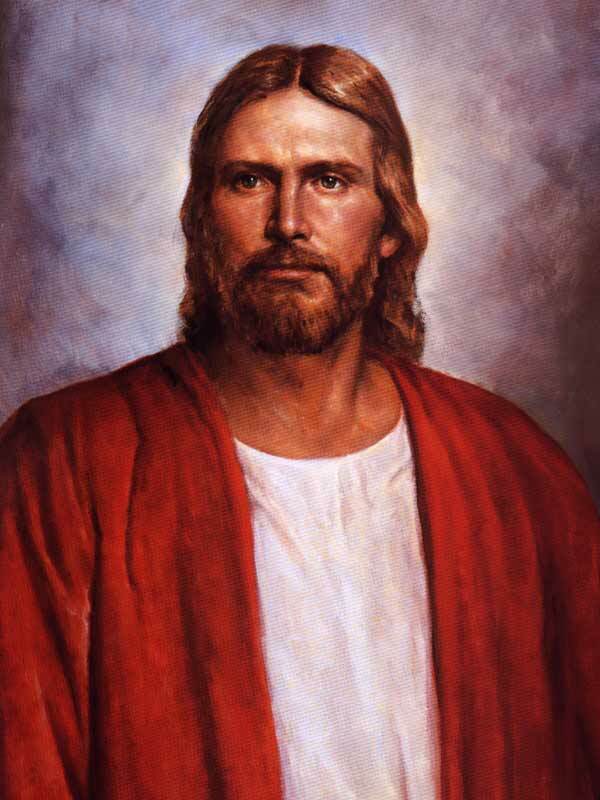 Our fellow Christian brothers and sisters should never feel that we as Mormons are not born again and new creatures in Jesus, for without Him, nothing else matters. If you are a Mormon, how would you describe your “born again” experience? Also, if you are a fellow non-LDS Christian, feel free to share your born again experience as well.